The discovery of an exoplanet candidate orbiting around nearby Proxima Centauri has certainly been exciting news. In addition to being the closest exoplanet to our Solar System yet discovered, all indications point to it being terrestrial and located within the stars’ circumstellar habitable zone. However, this announcement contained its share of bad news as well. 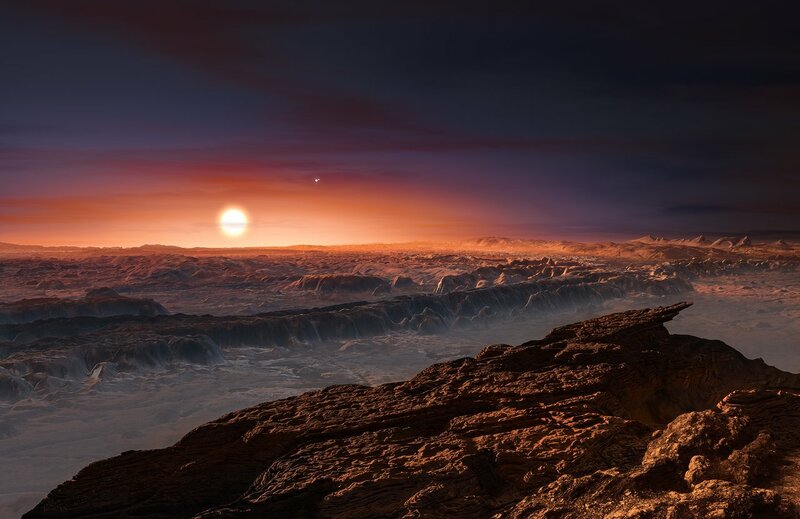 For one, the team behind the discovery indicated that given the nature of its orbit around Proxima Centauri, the planet likely in terms of how much water it actually had on its surface. But a recent research study by scientists from the University of Marseilles and the Carl Sagan Institute may contradict this assessment. According to their study, the exoplanet’s mass may consist of up to 50% water – making it an “ocean planet”. According to the findings of the Pale Red Dot team, Proxima Centauri b orbits its star at an estimated distance of 7 million kilometers (4.35 million mi) – only 5% of the Earth’s distance from the Sun. It also orbits Proxima Centauri with an orbital period of 11 days, and either has a synchronous rotation, or a 3:2 orbital resonance (i.e. three rotations for every two orbits). Because of this, liquid water is likely to be confined to either the sun-facing side of the planet (in the case of a synchronous rotation), or in its tropical zone (in the case of a 3:2 resonance). In addition, the radiation Proxima b receives from its red dwarf star would be significantly higher than what we are used to here on Earth. However, according to a study led by Bastien Brugger of the Astrophysics Laboratory at the University of Marseilles, Proxima b may be wetter than we previously thought. For the sake of their study, titled “Possible Internal Structures and Compositions of Proxima Centauri b” (which was accepted for publication in The Astrophysical Journal Letters), the research team used internal structure models to compute the radius and mass of Proxima b. Their models were based on the assumptions that Proxima b is both a terrestrial planet (i.e. composed of rocky material and minerals) and did not have a massive atmosphere. Based on these assumptions, and mass estimates produced by the Pale Red Dot survey (~1.3 Earth masses), they concluded that Proxima b has a radius that is between 0.94 and 1.4 times that of Earth, and a mass that is roughly 1.1 to 1.46 times that of Earth. This range in size allows for some very different planetary compositions. At the lower end, being slightly smaller but a bit more massive than Earth, Proxima b would likely be a Mercury-like planet with a 65% core mass fraction. However, at the higher end of the radii and mass estimates, Proxima b would likely be half water by mass. In other words, Proxima b could be an “eyeball planet”, where the sun-facing side has a liquid ocean surface, while the dark side is covered in frozen ice. 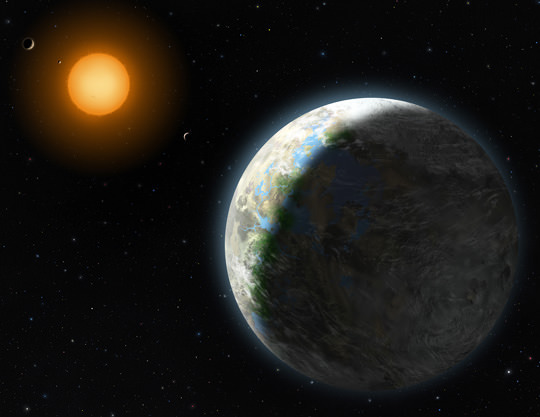 Recent studies have suggested that this may be the case with planet’s that orbit within the habitable zones of red dwarf stars, where tidal-locking ensures that only one side gets the heat necessary to maintain liquid water on the surface. 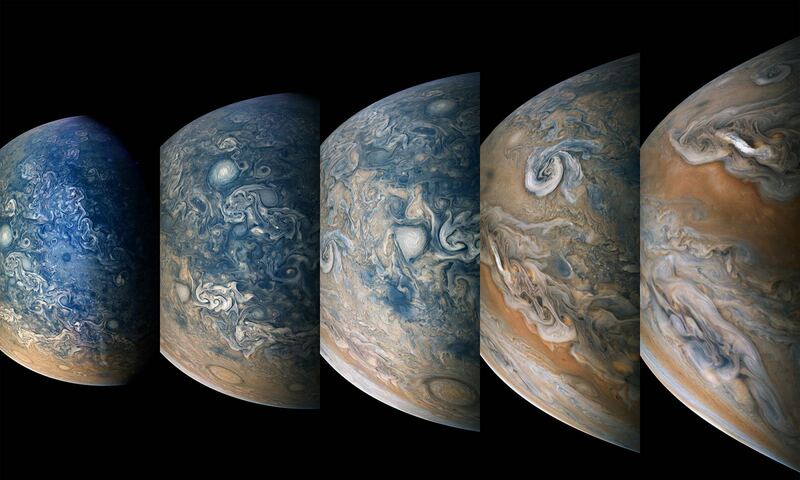 On the other hand, if it has an orbital resonance of 3:2, its likely to have a double-eyeball pattern – with liquid oceans in both the eastern and western hemispheres – while remaining frozen at the terminators and poles. However, if the lower estimates should be true, then Proxima b is likely to be a rocky, dense planet where liquid water is rare on one side, and frozen on the other. But of course, these scenarios are based on the assumption that Proxima b has a lot in common with the planets of our own Solar System. It’s also based on the assumption that the planet is indeed about 1.3 Earth masses. Until the planet can be observed making a transit of Proxima Centauri, astronomers won’t know for sure how massive it is. Ultimately, we’re still a long ways away from determining Proxima b’s exact size, composition, and surface features – to say nothing about whether or not it can actually support life. Nevertheless, research like this is beneficial in that it helps us to come up with constrains on what kind of planetary conditions could exist there. And who knows? Someday, we may be able to send probes or crewed missions to the planet, and perhaps they will beam back images of sentient beings navigating vast oceans, looking for some fabled parcel of land they heard about? God I hope not! Once was more than enough! Is it just me…? Where is the story? All I see is a headline, a byline, and a comments section. Not just you – I get the same “missing article” failure on multiple UT article pages. Tried their “Contact page” but it’s missing the contact information too. The UT contact page is also working now. I cannot see the Article as well. Browser is Firefox. This is all assuming that we know enough about the planet and we do not. The core of the Earth has a lot to do with whether or not the surface ocean is liquid or not. If the crust is thin enough a lot of core temperature might make a difference. We simply do not know if said planet has a large moon orbiting around it. Such a moon, might keep the planet from being tidally locked to the Dwarf. I am assuming the planet is heavy with metals like the Earth instead of a gas giant such as Jupiter might be. Meaning it might have an origin from the brown dwarf star itself. No one really knows if brown dwarf stars have oceans on them. Such a combination could create explosions that blow planet sized objects into orbit. Again, we do not know. A Brown dwarf in its old age might be coming apart with a lot of Earth-sized or more objects orbiting. Venus has a day longer than its year. Venus might be quite young. It might have originated from a Brown Dwarf and came into our system at a far later date than the evolved gas giants. But the same could be said about the Earth. We may have been a huge planet destroyed by collisions at one time. Water is way higher in abundance here than it should be if we originated this close into the star. This planet might have a forbidding gravity. It could be anything from Earth normal at 1.0 to 2.6 if it is a little bigger than the Earth. Does it have a strong magnetic field? I think there is a connection between the formation of natural life and gravity. Also the strong magnetic fields might come into play. I am thinking a possible iron/nickel core under intense pressure and heat with a thin outer crust covered in water. The heat from the core might provide the balance necessary to keep water liquid. It would have to be much higher than the temperature at the Earth’s core to do so. Meaning we might have a steam layer in the atmosphere. If there is a large moon, it might contribute to the planet having a day and night cycle. Again, tidal effects might influence the development of life on said planet. IF like Venus it has a day longer than its year, then it is possible life has a hibernation cycle and freezes during the night side time. Dwarf suns are known to have a very long life. So there might have been time for a fully developed life to evolve on said planet. Said atmosphere on the planet might have a much higher level of carbon dioxide thus transporting the heat over the entire planet and giving liquid oceans what is needed to stay liquid.